This is a super easy, healthy way to make egg salad. So creamy and yummy! 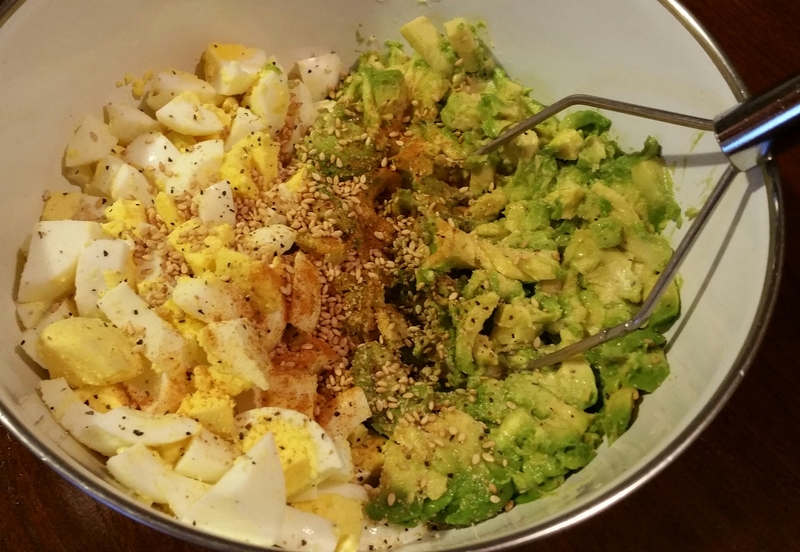 I’ll also tell you below the fool-proof way to make beautiful yellow-yolk hard boiled eggs. There are so many ways to make hard boiled eggs, and people swear by all of them. But if you’re like me, you haven’t found a way that works every time without getting the green rim on the yolk. Until now! 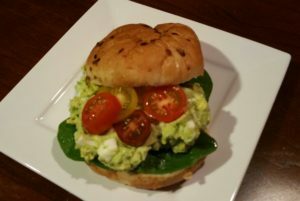 I had heard of this method before, but since I tried it myself, I get perfect eggs every time. 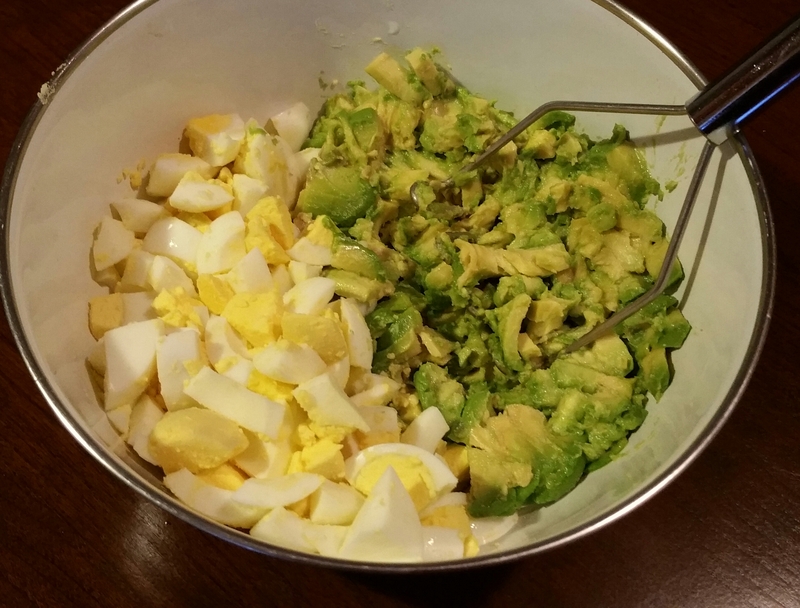 PERFECT HARD BOILED EGGS: Put the eggs in a large pan and cover them with water. Place the pan on medium-high heat and bring the water to a “rolling” boil. Turn off the heat, cover the pan and leave it on the burner 12 minutes. Then run cold water over the eggs until cool. Look how pretty! 1. 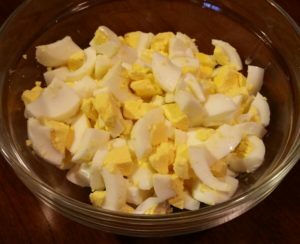 Peel and chop six hard boiled eggs. Add the mashed avocado. 2. Add lemon juice, seasonings and sesame seeds. 3. Stir it all together, and that’s it!